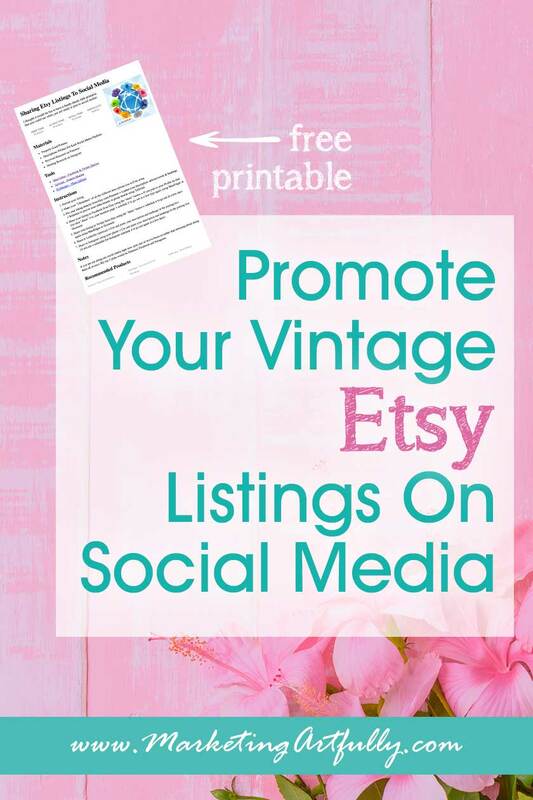 My best tips and ideas for posting vintage Etsy listings to social media! 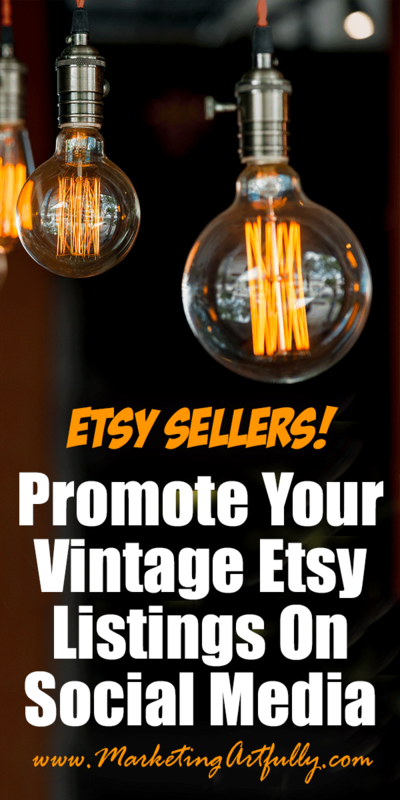 We all want to get more views on our vintage Etsy listings and social media is a great tool to help with that. 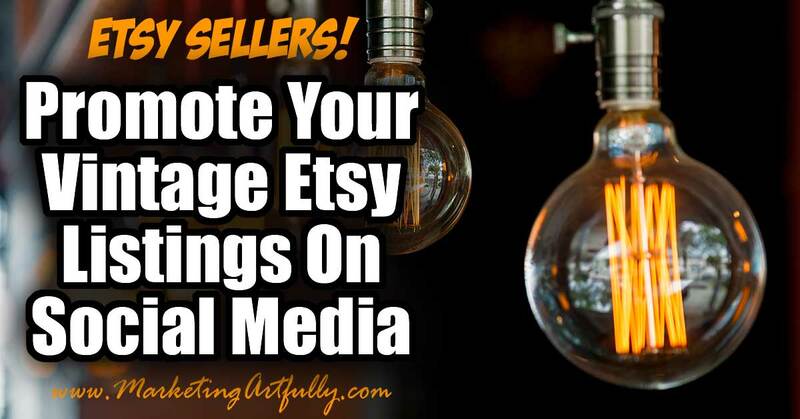 When you have a strong social media plan, you can increase your Etsy views considerably with an easy to repeat strategy. There are affiliate links in this post, I will make a small commission if you wind up purchasing anything! 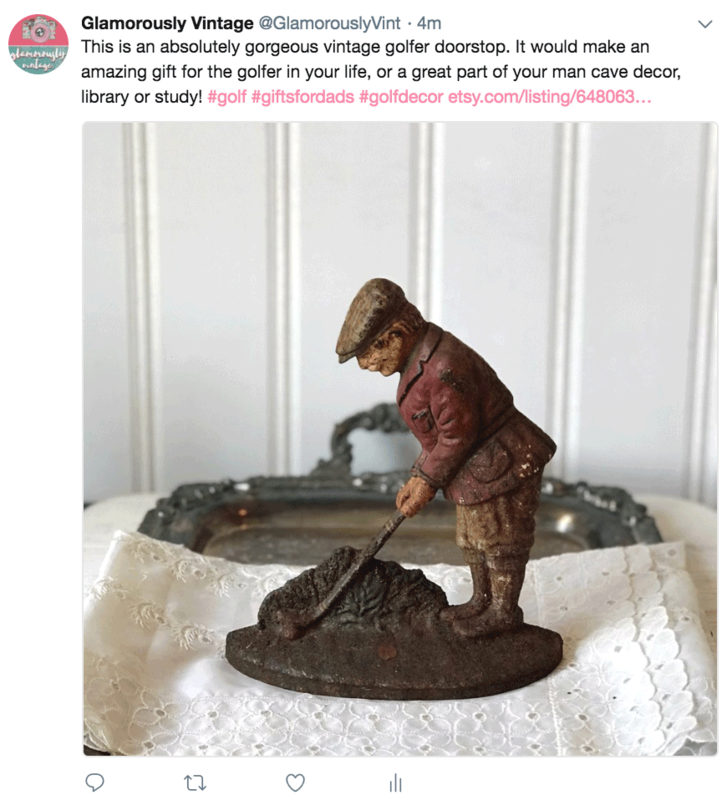 Oh and if you want to see my little golfer dude (the example throughout this post) in action, here is my vintage Etsy shop! In that case you will see some of your stats showing what social media platforms you are showing up on. As you can see, Facebook and Pinterest do pretty good for me, Instagram okay and my Twitter number is too small to register. Considering that I post every listing to Twitter and very few to Instagram, that is a sad, sad return for any of my time investment. Now, please note, social media is not my primary method of marketing, I have a website and email list where I refer my traffic to that does MUCH more for me, but today we are talking social media! To Do: Check your stats and see which social media sites are doing the best for you right now! Just know this is a self fulfilling prophecy. 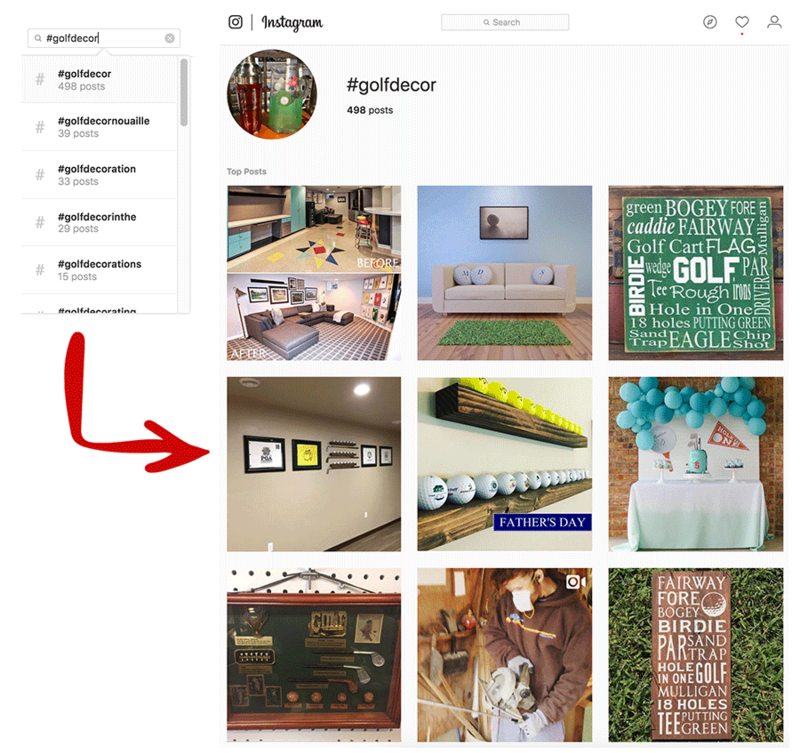 If you have been cranking on Instagram, you should not be surprised that they send you more than say Pinterest, but we will fix that later! Next think about what you like to do! I like Pinterest the best so I tend to do better there. You might LOVE Facebook and be a rockstar or your Twitter numbers might be off the charts. I have worked with Entrepreneurs for years and I found we tend to do more of what we like and less of what we hate (imagine that) so if you THINK Pinterest will be great for you but you hate it, then skip it and focus on the social media channel that you like the most first! Functionally for social media posting on the different sites, you only need two “shapes”… square and tall. 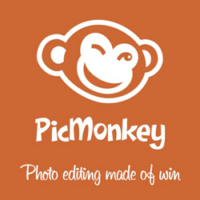 You can use a service like Canva or PicMonkey to resize your pictures. Square pictures are obvious (I generally make sure they are at least 600-750 pixels so they look good) and tall pictures are a 2:3 ratio. So that would mean 600X900 or 750X1125… I do 600X900 because that is easy for me to remember. 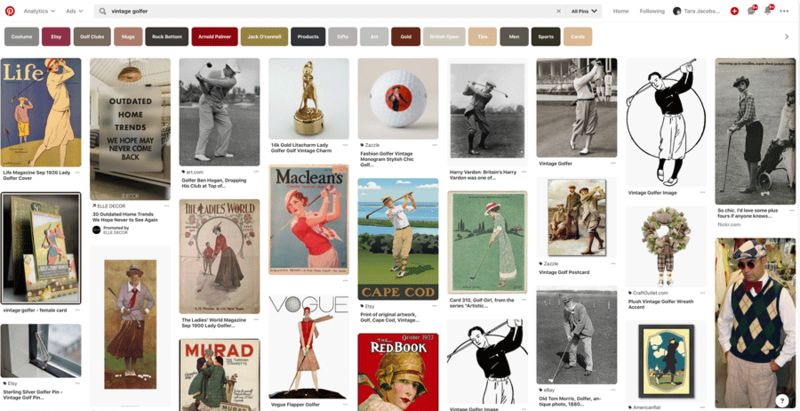 Functionally the tall pictures should be taller than they are wide to show up nicely on Pinterest. I know, the best size for Etsy search is kind of dumpy and wide, but that will not be great for posting to social media. 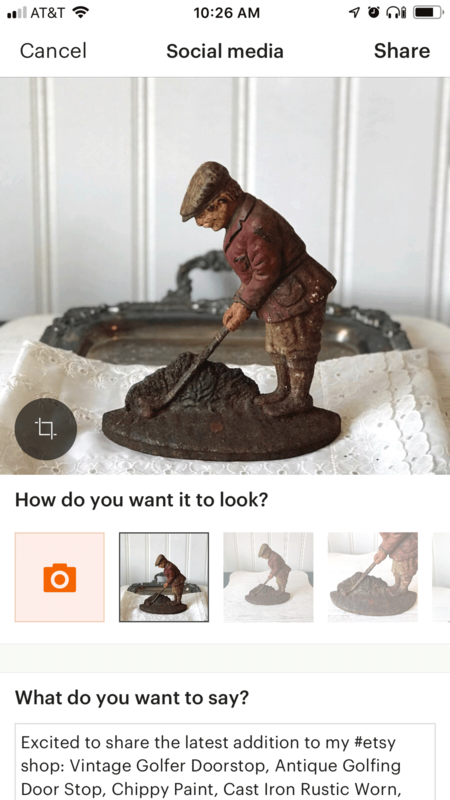 Luckily there is a quick fix for this, you can simply choose “adjust thumbnail” in the listing editor and pull out the best part of the picture to show up in Etsy search! I do all the social media work right up front when I am doing my listings. Generally I will make the first picture square so that it pops up first for sharing to Instagram, Twitter and Facebook! I know a lot of you are phone gals and do all your social shares right from your phone. This works best for many busy people like Moms in the car line, or if Etsy is your side hustle and you are sneaking in some work time on your lunch break. In this case you would do your listing work and then use your phone to share. 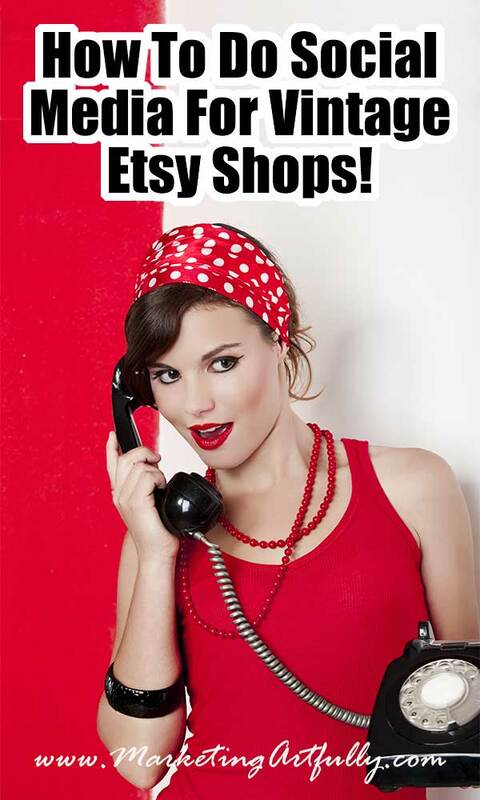 Additional Phone Sharing Resource :: Because I am not an expert in using my phone, I will refer you to this post from Etsy about sharing to social media. Because I do my photo editing in Photoshop and have all kinds of tools I use for sharing socially, I tend to only do my social sharing using my computer. Additionally, I tend to list in batches and so doing it on my laptop makes organizing easier. I like the cut and paste feature more on the laptop so that I can make specific messages to send out to the different social media sites. Seriously folks, pick the easiest way for you, get a system in place and then go to town! 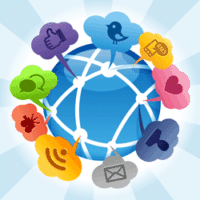 There are all different kinds of posting tools for social media. I use MeetEdgar which might be a bit much for most sellers, Hootsuite and Buffer are other good options. Today’s post is not to debate tools, but to talk about WHY you might want to use a scheduling tool! Say you are a busy mom and the only time you have to list is at 1AM in the morning. Your chances of hitting the feeds and getting lots of clicks go WAY down if you are hoping that your one little listing will be seen hours late after so many other posts go out! 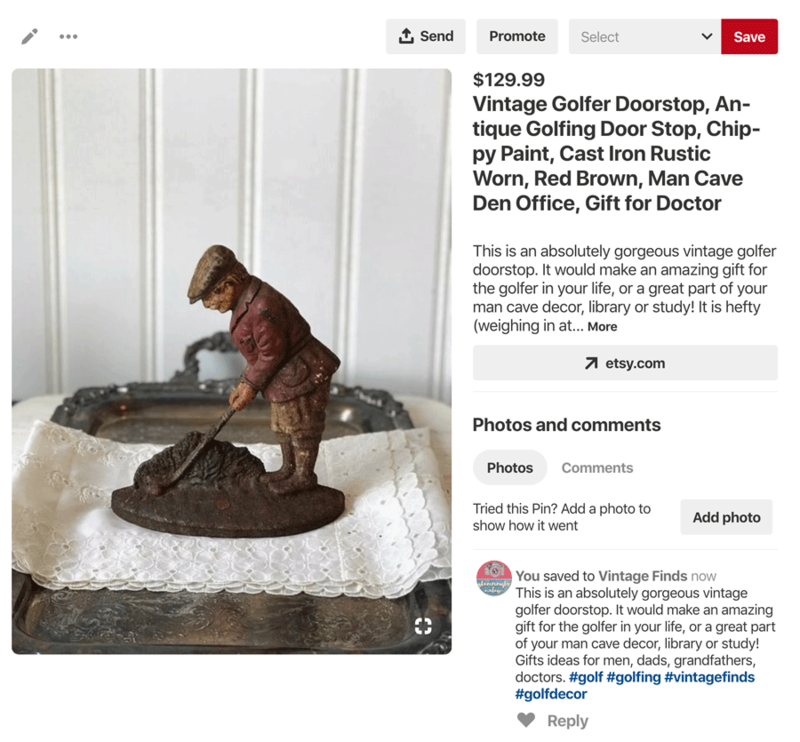 Okay, here is one for us Vintage Sellers and OOAK peeps. Do you put the link to your specific listing or to the category of product. Here are some thoughts…. On Facebook, Twitter and LinkedIn it makes sense to link it to the listing url. These posts are so come-and-go that someone will probably not be seeing it months from now. On Instagram you only really get one link and need to make sure it goes to your store. Hopefully you will be posting close to the time that you list so they should be able to find your listings. Let’s talk about what I consider to be the BEST social media channel for vintage sellers. Why? 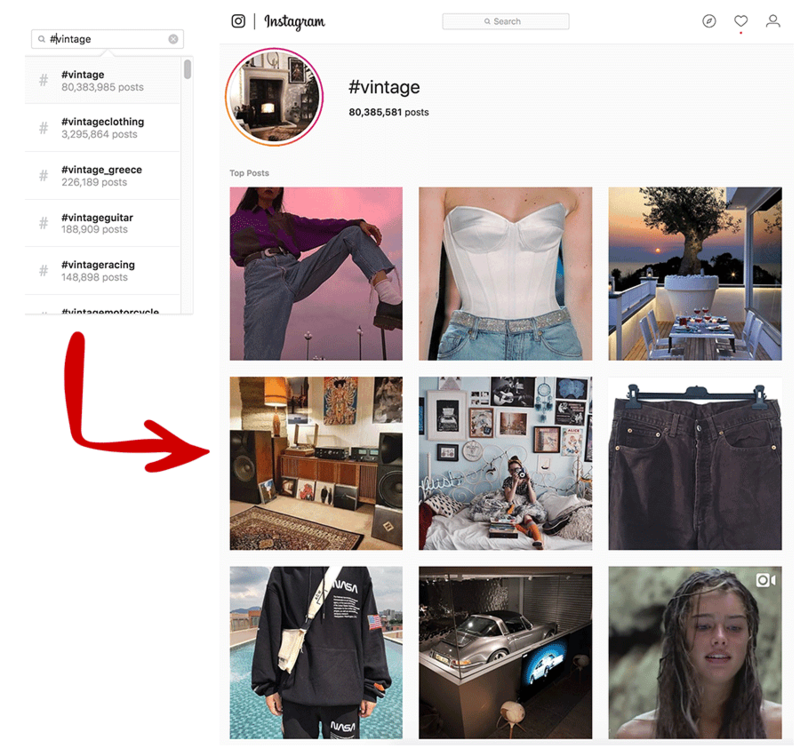 Two reasons… the pins last a LONG time and people go shopping on Pinterest in a way that they don’t really do on the other social media platforms! 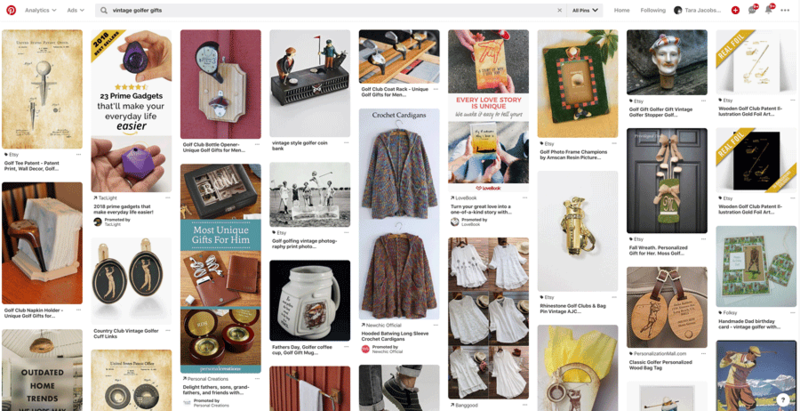 For Pinterest you want to make sure you finding the keywords to use in your pin description! This is super easy to do by doing a quick search on Pinterest. … hmmm not exactly the kinds of posts that people who I am trying to attract. 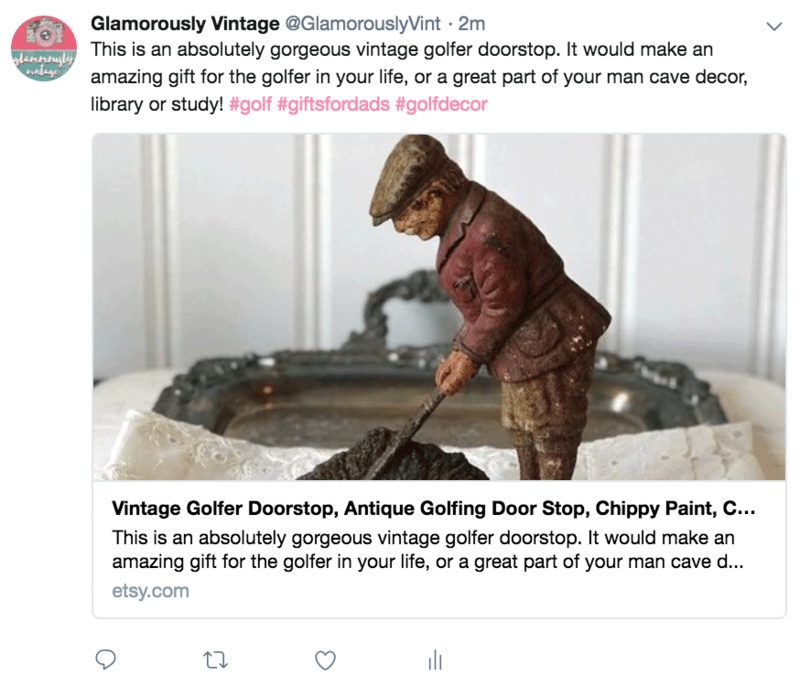 But then I did a search for Vintage Golfer Gifts which was one of the “extra” search boxes below the actual search… and that is MUCH better! So I would craft my description for Pinterest differently than I might even for my listing or other social media websites. 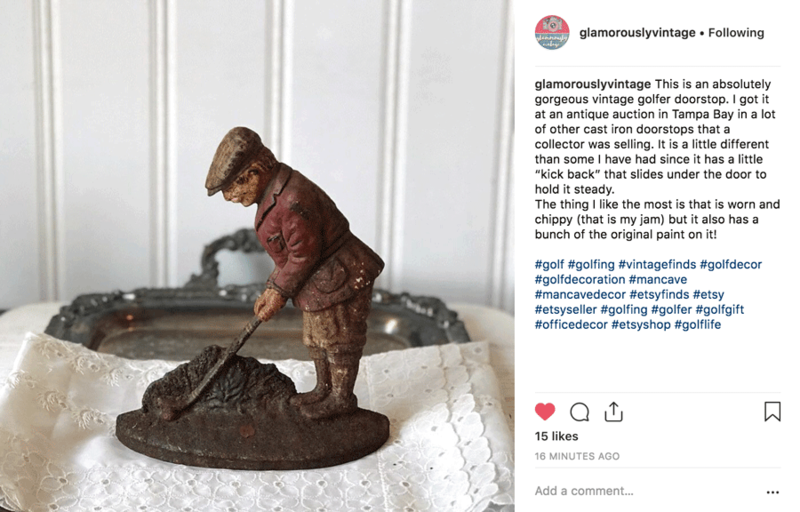 This is an absolutely gorgeous vintage golfer doorstop. It would make an amazing gift for the golfer in your life, or a great part of your man cave decor, library or study! Gifts ideas for men, dads, grandfathers, doctors. It is not grammatically correct, but Pinterest recommended “gifts” not “gift” so I needed to get it in there that way! Here is my final Pinterest Post! Pro Tip :: If you have many good pictures for your listing you could do different descriptions for each of them and get found in all different searches. I use Tailwind to schedule my pins so this is super easy to do! Facebook is not as “searchy” as the other social media so you will be writing your descriptions for people who know, like and trust you already. It is up to you whether you post to your personal profile every time you have a listing. Maybe your friends and family like seeing all your “finds” and you can write a little bit about where you got it and why you love it. Oh, oh, oh, I just had to share this little golfer doorstop with you all! I KNOW, it all rusty and worn, but that is what makes it cool. If you have a “golfing guy” or are getting his man cave set up, this may make a super good gift for that hard to buy for person in your life! If they hate you and unfriend you because you post all that “old junk” then maybe only post your favorites, ones that you really, really love. Your Facebook page is where you GET to post all your listings. Hopefully it is a shop page and the people following it are interested in the products that you sell! That said, dumping a whole bunch of listings all at once is not a great idea so schedule them out as you go. I feel like the people on your page are probably excited about vintage and would love all the details about your item! I would get really specific with this description and leave off some of the “fluffy, searchy” keywords that I used in the Pinterest one. 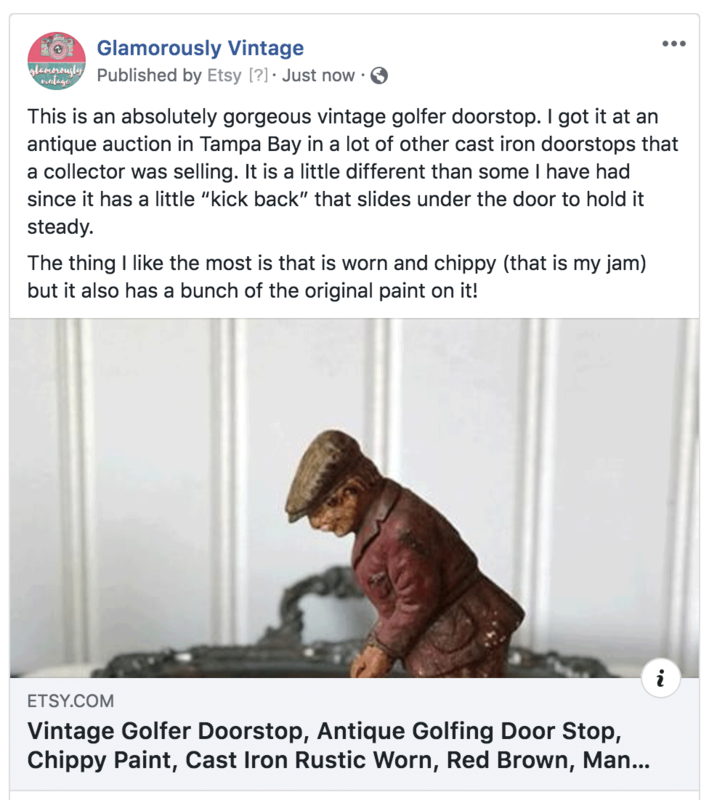 This is an absolutely gorgeous vintage golfer doorstop. I got it at an antique auction in Tampa Bay in a lot of other cast iron doorstops that a collector was selling. It is a little different than some I have had since it has a little “kick back” that slides under the door to hold it steady. The thing I like the most is that is worn and chippy (that is my jam) but it also has a bunch of the original paint on it! I AM a fan of putting your listings on your Facebook page and trying to grow it with your potential and past customers. Here is my final Facebook post… I know it looks a wee bit funny on the page, but that square shape will show up great in the timeline! I AM NOT a fan of Facebook groups where you share your listings with other Etsy sellers. Yes, you can get views from there, but they are not statistically probably buyers of your specific product so their views actually hurt your Etsy shop. Just recently Etsy said that low conversion rates (the number of people who view your listing versus the number of people who buy your listings) negatively effect your search rankings. Now if you belong to vintage buyers group, I would post the same thing that I did to my page! Instagram is all about the #hashtags to find more customers! Oh and beautiful pictures are a must. To find out hashtags that will help you get found do a search for your type of product or age of the product. Here are two different searches that could work with my amazing golfer listing! Doing a search for “#vintage” I see in the top 9 results that there are 4 pieces of clothing, 3 decor-ish items, a car and a girl movie. Hmmm not exactly the type of things that my rusty old golfer dude will fit into. 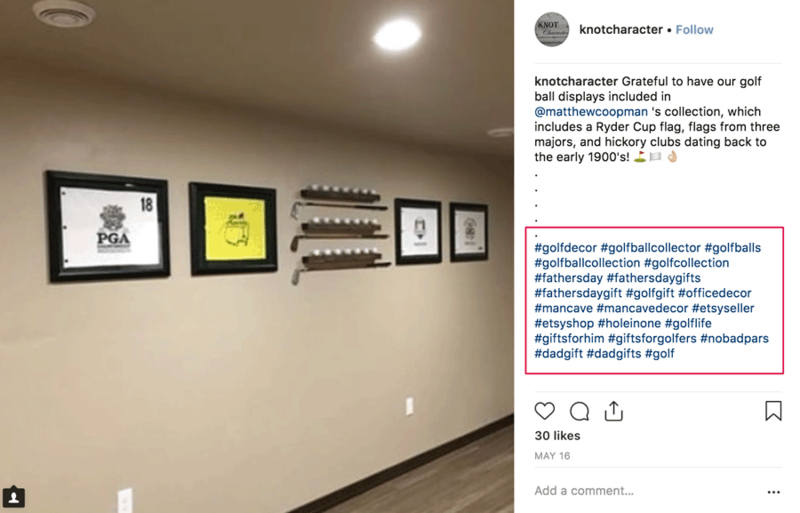 So let’s take another tack… let’s do “golfdecor”… ahhh much better! One is even a vintage golf product! My golfing dude will fit right in there. You should aim to find 5 hashtags that your product would fit into! I found golf decor because I know to add “decor” to almost anything… ha! But you can also do #golfa, #golfb, #golfc and Instagram will start pulling up different ideas for you. Another way to “cheat” and find good keywords is to check out those top listings and see what they used. knotcharacter had a great list of hashtags that could be good for my listing! I think you could use either of the descriptions from above. Yes, people read descriptions on Instagram, but it more depends on your style and staying consistent! As you can see, I got 15 likes in 16 minutes. Now, that is NOT because I have a have a huge Instagram following (I have 533 followers). It is because they follow one of the hashtags that I used in my post! Okay, not going to lie, Twitter is kind of the pits anymore. I KNOW! We all spent time growing our followings (I have almost 20K on my main account) but they just don’t drive the traffic that they used to. With that in mind, I would post with a scheduler, using a shortened version of the description and a couple of the hashtags we have already researched! I would NOT spend much time on this unless you already have a strong Twitter following. Now here is where you have a choice… this is how the tweet looks by just using the regular link that Twitter pulls in from Etsy. It makes the picture smaller, BUT it pulls in the actual link to Etsy in the picture. This one I uploaded my square picture. It is NOT clickable but I find that the difference in visual quality makes it worth losing that functionality. This is definitely a “sellers choice” kind of thing! Okay, let’s get this out of the way right off the bat… do I think we are going to sell LOTS of things on LinkedIn as vintage Etsy sellers? Heck to the no! That said, if you have items that would be a good fit for an office or that interior designers would like, for sure you could add it as a post. Additionally they do support hashtags now (the only one that seemed to be suggested is #vintageclothing). I love you all but I am not willing to post an old rusty dude on my business LinkedIn account so there is no example post on this one! If you are not good at hashtags yet, you should get good at writing different descriptions for different posts first. Hashtags work on Instagram (most important), Twitter, Linkedin and Pinterest. That said, if you can master hashtags you can get more views on your listings from random strangers. I have had people ask me about how to make the Instagram post look right or how to keep track of all the different kinds of descriptions. I use “Notes” that is connected to all my Apple products because it is easier for me to type on my laptop and then cut and paste it on my phone when it sinks up. If you are on a PC you could use Evernote that allows you to type on the computer and cut and paste on the phone! I thought it would be fun to have a handy-dandy little printable that you could use when you are ready to post to social media! If you are not doing any social media right now, pick one or two to focus on rather than stressing about doing them all at once. My top 3 picks would be Pinterest, Facebook and Instagram. 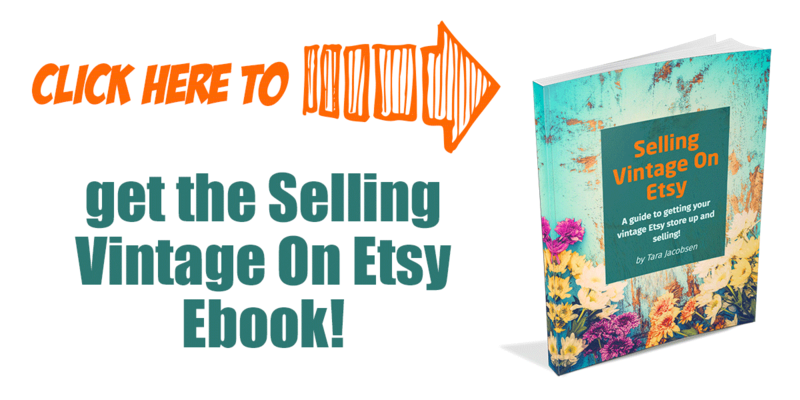 Previous Post: « Do You Need To Add Attributes and Categories To Your Titles and Tags For Etsy SEO?